I am dipping into the archives today because the article is exceptionally relevant, at least to me with the distressing actions of President Trump which seem to me to be based on his lack of character, his bellicose threats against civil liberties as well as the actions of his administrational against the norms of our republican form of government, his disregard for the Constitution, his exceptional narcissism and what I believe is a terrible psychological instability which may be based on an onset of some form of dementia, which could lead us into multiple wars the likes that have not been seen since the Second World War, frighten the hell out of me. It is in stressful and uncertain times that officers have to be men and women of principle who always uphold the highest traditions of their military as well as be the voice of conscience when governments, political parties, special interests or leaders begin to violate international norms in the conduct of war. Beck was not a perfect officer. 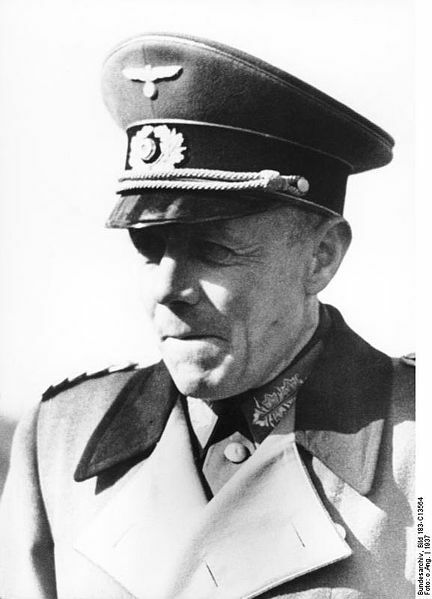 He supported some of Hitler’s policies until after his resignation but like much of the resistance believed that the Nazi regime could only end up destroying Germany. It is important to remember that like Ludwig Beck that officers do not need to sacrifice their honor to be faithful to their oath. This is important now more than ever as the President makes multiple assaults on the judiciary, the Department of Justice, the FBI, the CIA, and in a less direct matter against the military, its leaders, and its members, especially when he insinuates that before he came to office the military were “losers.” I can only imagine what will happen when the President launches a depleted military into war on multiple fronts especially against North Korea. I am certain that he will blame the military and its leadership for the failures of his policies. I just wonder if there are any leaders today with the courage of Ludwig Beck. As for me I remain in service simply to care for sailors, marines, soldiers, airmen and their families, knowing that very bad times are coming. Likewise I hope to be an example and mentor to the chaplains, religious program specialists, and the others that I serve with knowing that no matter what happens I am coming to the end of my career. I have been serving continuously in the Army and Navy since 1981. I have been to war and expect that I will see war again before my career is over. My loyalty is to the Constitution and the men and women who I have the privilege of serving alongside.